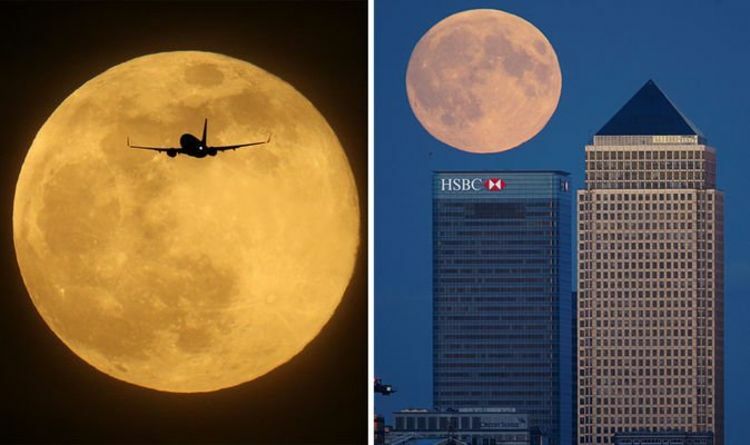 The last two Supermoons appeared on the nights of February 19 and January 21. A Supermoon describes a Full Moon or a New Moon nearing its closest orbital position to Earth – the perigee. The Almanac explained: “The official astronomical name for a supermoon is ‘perigee full Moon’ or ‘perigee syzygy’.